Are you in need of a squeeze bottle for painting or cooking with a specific nozzle size? You may have a hard time finding what you will need because specific sizes might not be available. The best thing to do will be to make your own plastic bottle cap nozzles. You will need a supply of any color bottle cap nozzles for this project. Just make sure the cap fits on all the bottles you want to use. This is a really easy project to do as you only need a few tools and a supply of heat. You will also need a lighter or to make plastic bottle cap nozzles at home. 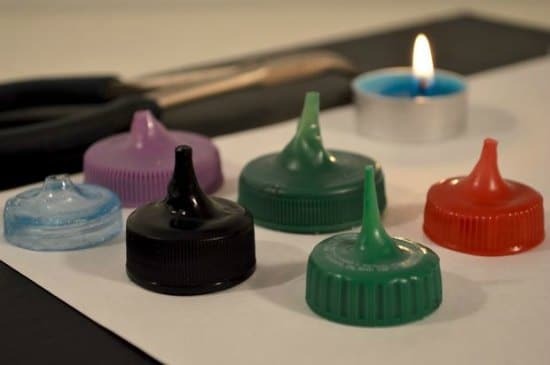 Making your own plastic bottle cap nozzles means you can use them for all sorts of projects. These are perfect for cooking with oil and even to create a stunning work of art. Simply make your nozzles to the sizes you need.